ARRI ALEXA MINI – FINALLY TO RENT IN OUR STUDIO! Better, easier and simpler. Tired of negotiations with many subcontractors? Change of rules during the work, trouble with deadlines, transfer of responsibility? From today, we make life easier for production companies and customers. In order to meet the expectations we invested in professional filming equipment, which is a Arri Alexa MINI 2017 (4K, HDR, HFR, 200 FPS). The compact and lightweight camera allows you to shoot most freely in any situation on the set, even in tight spaces and the toughest locations. The key thing is that the producer reducing the dimensions offers the same picture quality as the other cameras in the series. The same 4: 3 sensor and automatic de-squeeze feature allows you to merge an image from any Alexa’s camera even with anamorphic output. The maximum 200 fps gives you the opportunity to record an image in slowmotion. 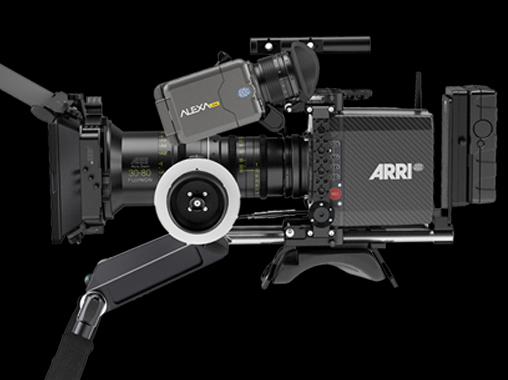 The camera records the image in ProRes or in uncompressed ARRIRAW which gives the same operating system as in the other ARRI cameras. We encourage you to use the services of Lightcraft Technologies, we also offer interesting discounts and packages for the postproduction of the image in our studio.